Flags have always been popular and especially as a tourist anywhere you realise the amount of merchandise out there from mugs and fridge magnets to tea towels and every school girls favourite, the eraser. This year especially with the Queens Diamond Jubilee and the Olympics being held in London the demand for British inspired products is massive. 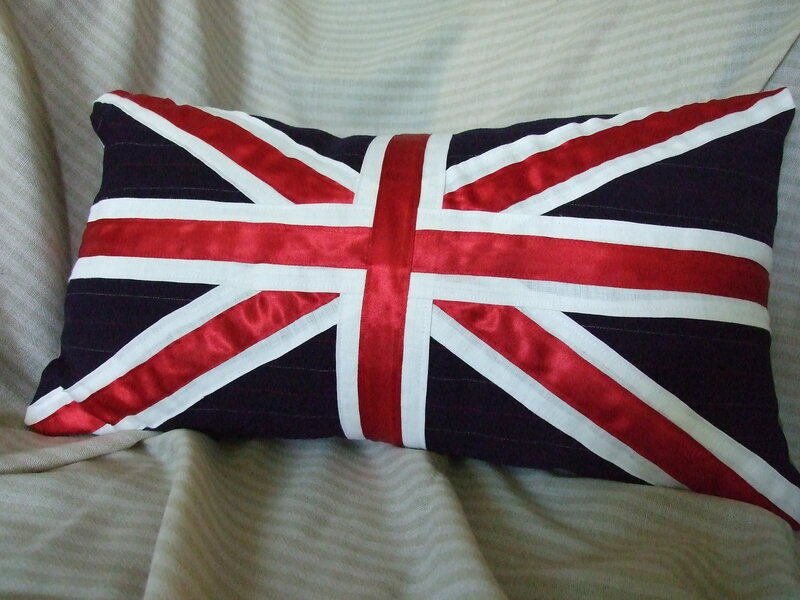 The handmade market is definitely not new to the use of the Union jack image but recently there has been an explosion in the variety of products available. There are some truly beautiful creations out there from the very traditional to the more unusual colour combinations. There are products to suit every taste. I think sometimes when we use an image that is so well known and loved we can forget the history behind the image. The flag combines the crosses of England and Wales (The cross of St George), Scotland (The cross saltire of St Andrew) and Ireland (The cross saltire of St Partick). The Welsh dragon does not appear as when the first Union Flag was created in 1606, Wales was already united with England and no longer a separate principality. The origins of the flag can be seen from the standards used in warfare such as by the Roman Legions and the Middle Ages where flags were used as heraldic devices in battle to distinguish the sides. Later during the early 17th Century it was customary and then a legal requirement for ships to carry flags designating their nationality.